Michelin Airstop tubes are a high quality option for competitive and recreational riders alike. Available in 700c x 18/25 mm size with a smooth 40mm or 52mm Presta valve stem. 100 grams. I keep several of these in my personal inventory because they hold air and I like the smooth stems. I need to check my tire pressure only once a week and then it is rare that they have lost more than 2 pounds. The smooth stems are kind to the grommet on my floor pump. I am sure these tubes are marginally thicker than most others, which makes them marginally heavier. It is worth it for tubes that do what tubes are supposed to do. Great tube for the Lazy ! I'm lazy and don't like to pump up tires before every ride. Michelin Airstops loose pressure at a very low rate, so I inflate on Friday and ride all weekend secure in the knowledge that my tires are still in the set pressure range. I also love the smooth valve stems as they don't chew up the rubber seal on my track pump. I only use smooth stem tubes on my bikes as they do not tear up the o-ring seal on my pump. Smooth stems are hard to find as most manufacturers insist on putting the unneeded threads on their tubes. However they are available here at a decent price. These are good quality tubes too. I have been using them for many years and have never had a flat as a result of a fault of the tube. Michelin tubes seem to have a better quality stem than other brands. The presta valve just seems to have a more substantial feel to it than others. The tubes hold full pressure longer than others, not necessary to check pressure before every ride. Not sure if it is the quality of the rubber or just better construction. Before getting these tubes, I thought a tube is a tube, they all hold air, but apparently some do it better than others! 54 of 76 customers found this review helpful. Michelin makes a great standard weight tube. This tube is fantastic in all situations from recreational riding, to training, and competitive racing. Maybe it was a bad batch, but just went through 4 of these with flats in all after 20-30 miles on each. Rim and tire fine, replaced with another brand that I got from the shop and have about 400 miles on them with no issues. Never getting these again. Again, reviews seem good so maybe it was just bad luck but it sucked because I was riding in remote places. Good tube for 25 mm wide tires. I prefer the quality of Michelin tubes over others, less seam splitting and the slightly extra rubber helps resist those tiny pin pricks that can damage ultra light tubes. Probably want something lighter to stay competitive for racing. But if you don't like sitting on the side of the road fixing flats during training or recreational rides give these a try. I use tires weighing 215 to 240 gms on my road bike on city and country roads. Spread the word... SMOOTH STEMS ARE SUPERIOR! Smooth stems are getting so hard to find. Come on, bikers! 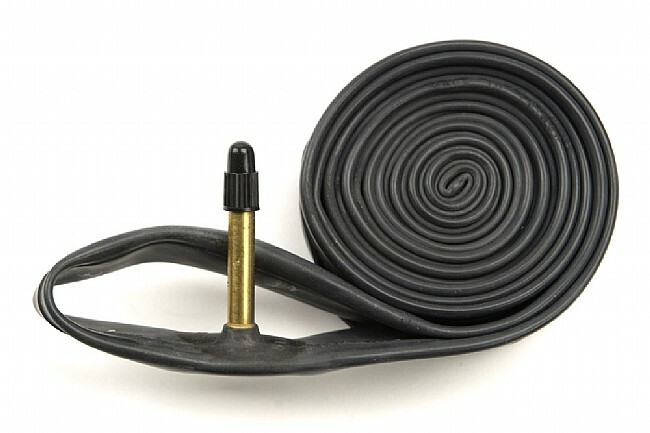 Threaded stems chew up pump chucksgrommets. Get smart and buy smooth! One of the best tubes on the market, especially when BTD discounts the price! I found these tubes to be long lasting with a high quality smooth stem presta valve. I especially like the smooth stem - doesn't wear out the rubber gasket in the head of my floor pump. Excellent tube at an excellent price! Having sworn by Michelin PRO4 tires for several years, it was only natural to rely on Michelin for tubes. And I have never been disappointed. Seemingly bulletproof, these tubes are my faves - and a great value at Biketiresdirect! I love Michelin brand tires ans inter tubes. I love it even more from a good web store at a great price. Size and Weight Michelin states on the box 700x1823. This site says 1825. On modern wide rims many 23mm tires actually measure 25mm. For example, Conti GP4000S II 23mm tires measure 25mm wide on my rims. I find these tubes still work fine, probably because they are average weight and a bit thicker than the lightweight Michelin AirCOMP. My 40mm AirSTOP tubes weigh 95 grams each (my 40mm AirCOMP tubes weigh 75 grams each). Smooth Valve I prefer smooth valves because the don't chew up my pump head internal seal. I just make sure I have at least 15mm of smooth stem sticking out above the rim but 20mm is probably better if you have a pump head that is old. Good for everyday use. Dont lose air as fast as the lighter A1B1. Also dont have as many flats with these. Really like they dont have the threads that shred my pump seals. Purchased new tires and wanted reliable tubes for my two road bikes. I bought two of these tubes and new tires last year for my Cannondale CAAD 10, rode the bike a lot during the summer and fall riding season. Never had any tire issues. A quality product at a reasonable price. these do not have removable valve cores. Even though the description does not say anything about the valve core, I bought these because someone complained that the cores came out when they used screw-on pumps. Unfortunately that information was incorrect. These do not have removable valve cores. These are great tubes. I got some when I ordered some tires a while back. They hold air better than the Bontrager tubes that came on my Emonda. I've aired them up and checked them 2 days later and the tires didn't need any air. Can't get better than that. These are a steal as well, great price for such a great tube. 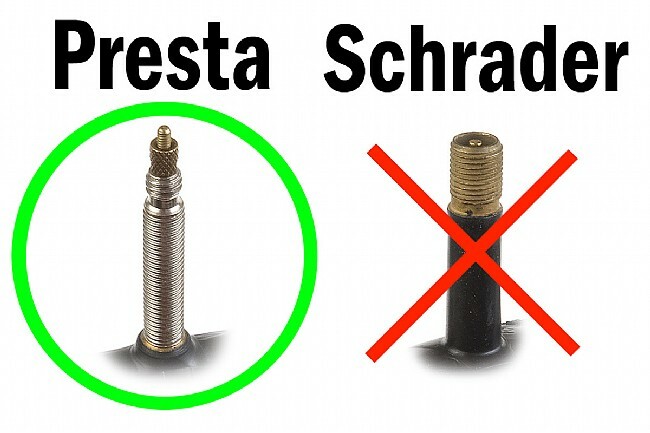 I prefer the smooth Presta too, doesn't eat up my pump head. They may be a little heavier than other tubes but I'm not concerned about weight as I don't race. Going to stock up on them soon. My friends and I are always in need of inner tubes. 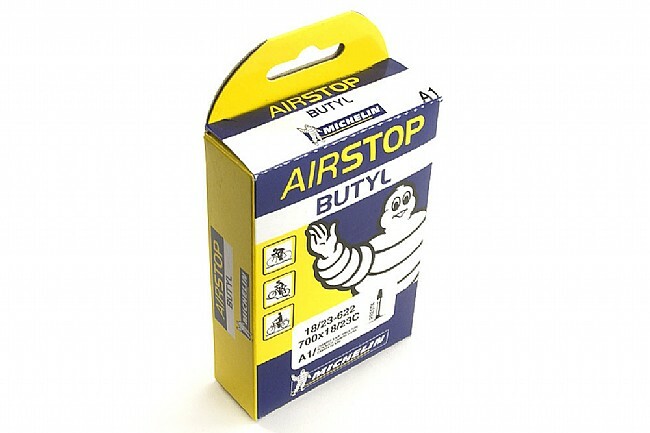 The Michelin A1 Airstop Tube is a bit pricey but always a solid well made product. When they go on sale, I pool our resources together with my friends and order a bunch of them. This is my preferred tube as I cannot remember any of them having imperfections that would cause them to fail without a verified tire puncture. Good tube, replaceable valve core. You can use latex sealer with this tube for many flat free miles.